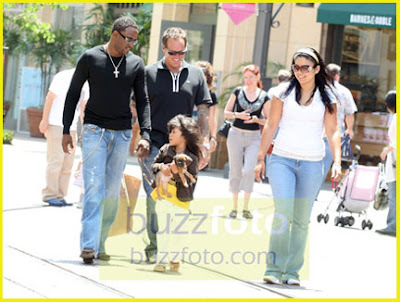 See how fast things can change.. just yesterday Wayne and wife Chun Li Mandie were out and about in LA with the daughter doing the family thing. And today Mandi filed for divorce. Mandi is also requesting joint custody of their daughter, 4-year-old Maile Masako Brady. ..annnddddd since we love too see pictures of people's kids, I present to you Maile Masako Brady..